To start the year anew, we’re kicking off the 2018 Fork + Bottle dinner series with our neighbors, Stonecloud Brewing Company. Join us for a five-course meal with dishes like beer cheese stuffed pretzel bites and hop cured scallops that pair perfectly with your favorite brew (five to be exact!). Not to mention the opportunity to be one of the first to taste a new beer from Stonecloud. Not a beer expert? That’s okay! Stonecloud’s crew, in addition to chef Campbell and the Mary Eddy’s team, will be in attendance to guide you through the pairings. // Seating is limited. Contact Emily at 405.982.6918 or ewilkerson@21cHotels.com to claim your seat! 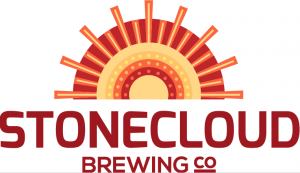 Stonecloud Brewing Company was started by Joel Irby with the goal of bringing bold, progressive, neo-American beer styles to Oklahoma. Irby, a Stillwater, OK native, had been working in the professional brewing industry in Colorado for 9 years before making the move back to Oklahoma to bring Stonecloud into reality. His background as a brewer at the highly-respected Avery Brewing Company makes him uniquely skilled to bring the beers that we are so passionate about to life. At Stonecloud, we only brew beers that excite us. Expect big juicy hop bombs, experimental barrel aged sours, and anything else that tickles our fancy.